Invisalign Teen has all the great benefits of Invisalign—comfortable, removable, and nearly invisible aligners—with a number of additional benefits designed specifically for teen patients. Invisalign Teen includes six free additional replacement aligners in case aligners get misplaced or broken during treatment. 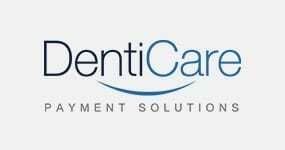 Compliance is an important ingredient in the effectiveness of treatment with Invisalign. Because Invisalign aligners are completely removable, this allows for a great degree of convenience and flexibility—patients can eat all their favourite foods and can brush and floss as normal, keeping their teeth clean and healthy during orthodontic treatment. But this flexibility also means that a teen can easily choose to not wear the aligners, slowing down the effectiveness of treatment. 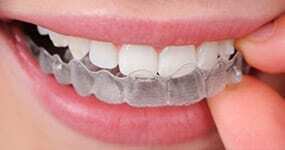 The time required to wear the aligners is at least twenty hours per day. Because teens might be tempted to wear their aligners less than the required amount of time, Invisalign Teen comes with built in compliance indicators. These are simply small, blue dots on the far back of each aligner, which fades to light blue and then to clear with extended exposure to saliva. The purpose of these indicators is to reassure parents (and teens) that the aligners are being worn for the appropriate amount of time. With many teens their molars and cuspids have not fully erupted yet, so Invisalign Teen has specifically designed “eruption tabs” to accommodate the natural eruption of teeth. Previously, many teen patients were unable to be treated with Invisalign aligners specifically because their teeth had not fully erupted. Now, this does not have to disqualify you for treatment with Invisalign Teen. A new feature is “power ridge technology,” specially designed aligners that also put pressure on the roots of teeth that need to be rotated. Let us help you decide if Invisalign Teen is right for your teen. 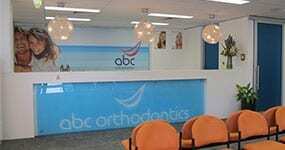 Call us at 1300 794 797 and let our team of experienced professionals answer your questions or make an appointment. We’re confident that we can find the right solution for your teen.